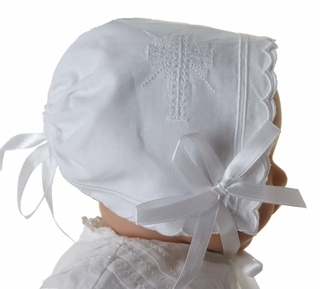 This beautiful white cotton bonnet is made from a handkerchief edged with scalloped embroidery. The bonnet is beautifully embroidered with a cross on each side. 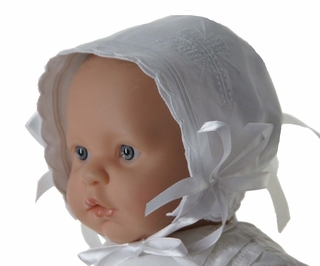 The sides are adorned with white satin bows and the bonnet ties under the chin with white satin ribbons. 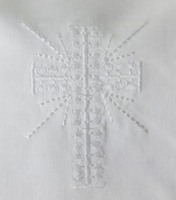 The tradition is for a baby to wear this as a coming home cap or a christening cap. 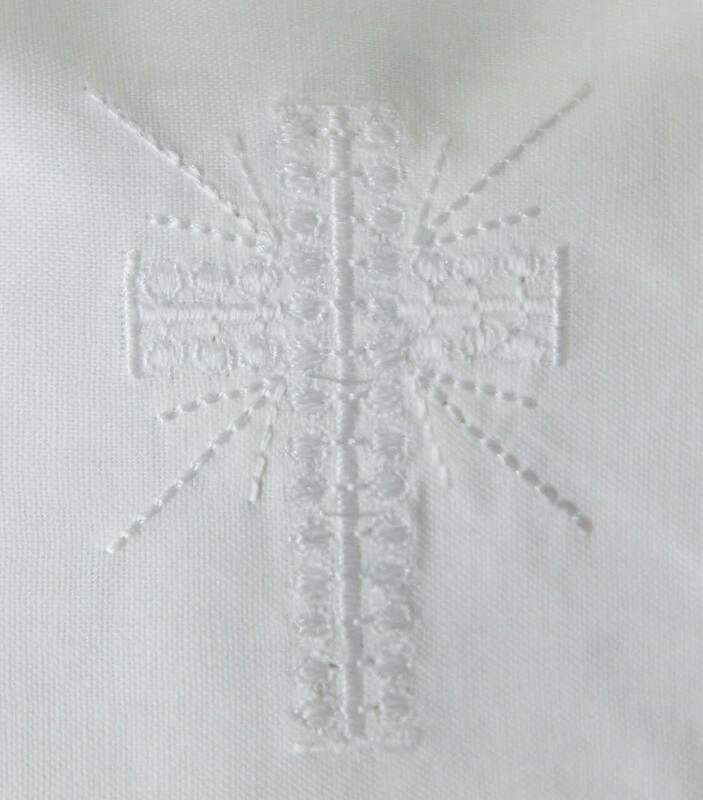 Saved as an heirloom, a few stitches are clipped so it reverts to a beautiful linen hanky to be carried by a bride on her wedding day. A poem explaining this lovely tradition is included.